Available Colors: Blue, Green, Black or Red. Shipping Weight: Cello Bag, 250 per carton @ 10 lbs. Customized Aluminum Clip Divot Tool with Ball Marker Item #HT-7267 is Promotional with your business logo for advertising to clients. 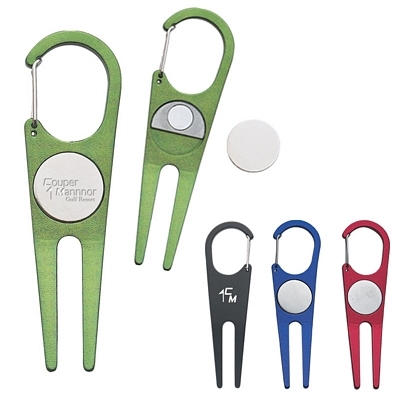 Customized Aluminum Clip Divot Tool with Ball Marker are decorated with No Setup Fees. 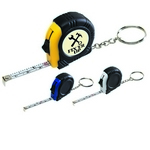 Customized Rubber Tape Measure Key Tag with Laminated Label Item #HT-7313 (Minimum Order: 250). 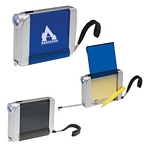 Promotional Customized Tape Measures can be personalized with your business logo. 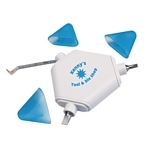 Our Promotional Tape Measures are decorated with No Setup Fees. Customized Triple Headed Tool Kit Item #HT-7333 (Minimum Order: 100). Promotional Tools like the Triple Headed Tool Kit can be personalized with your business logo and with No Setup Fees. Customized Tri-Function 6 1/2' Tape Measure Item #HT-7350 (Minimum Order: 100). Promotional Tape Measures like the Tri-Function 6 1/2' Tape Measure can be personalized with your business logo and with No Setup Fees. 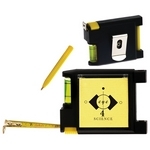 Customized Multi-Function 10' Tape Measure Item #HT-7353 (Minimum Order: 150). Promotional Tape Measures like the Multi-Function 10' Tape Measure can be personalized with your business logo and with No Setup Fees.